This looks fabulous! I have been following for quite some time and it never fails seeing that cute bunny next to such a stylish lady. 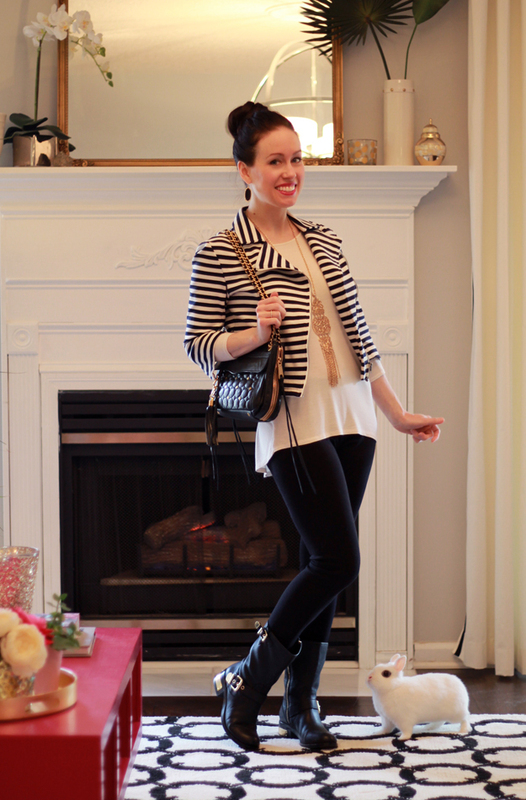 Love the striped jacket! That necklace is gorgeous too!